We’ve given you so many tips on improving your methodology in the past. I want to talk about something different today – uniquely positioning your SEO business. Now that you’ve improved your methodology, it’s time to make your business stand out from the competition. Here are some tips on setting your company apart from the rest of the SEO businesses out there. Your brand is the first thing that identifies you from other SEO companies. Jason Goldberg defines your brand as “the emotional reaction your customers and partners and employees have towards your business.” Focus on what your market values and make it the theme of your brand message. Protect your brand by maintaining open communication, being honest and transparent about your process, and building trust between your company and your customers. In his book “Purple Cow: Transform Your Business by Being Remarkable,” Seth Godin talked about businesses being like cows. At first, they all look beautiful and interesting, but after a while, they all become uninteresting and boring. Then he proposes that a purple cow would be interesting because it stands out from the rest – for a short time. Businesses, according to Godin, should strive to be a purple cow. Finding your area of expertise, or as Goldberg calls it, your One Thing, is the beginning of building a strong selling point. 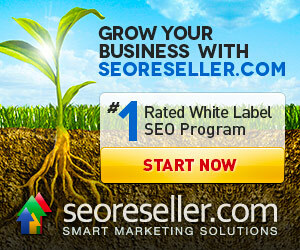 Make it the center of your SEO business, and improve and polish your methodology continuously. Your One Thing could be local SEO, social media integration, or SEO web design, or it could be niche-based like ecommerce, real estate SEO, or lawyer SEO. Focus on your One Thing, especially if you’re a start-up, and don’t get distracted with other things. Make this specialty your selling point. The idea behind remarkable marketing is to focus on your selling point instead of on the marketing techniques themselves. The best way to do that is to create a high quality product that has the potential to be in high demand. Update your methodology regularly to keep up with the changes in SEO. Sell this new product to the early adopter market – those who are open to trying a new product before everyone else, or those who are advanced thinkers. They will become brand ambassadors if they find your product to be of high quality. Coining catch phrases and key terminology in SEO is a good way of making your brand stand out. I’ve already mentioned two good examples above: Seth Godin’s “purple cow” and Jason Goldberg’s “One Thing.” Create your own terminology, and make sure the names are catchy and relevant to SEO. Show your target audience that you are the authority in the SEO industry by writing your own manifesto. Discuss in detail where you think SEO is going in the future, and share your strong beliefs with your market. Those who share your beliefs will share your manifesto with others. Those who are skeptical may be converted into new followers and leads if your estimates come true. It’s not enough to think like an innovator – you have to be one. Prove it by showing your target audience that you have a clear vision and understanding of where your industry is headed. All the methodology we discussed in our previous blogs only serves as your starting point. You need to think ahead to truly make your business stand out. After thinking of where the industry might go, visualize how your decisions today will affect your company tomorrow. Evaluate and update your SEO methodology based on your vision. Develop your own technology, and follow your gut in the process. Work with people who say no, argue with you, and push your imagination to the limit. Thinking ahead and beyond the box keeps you on your toes and gives you an edge over your competition. On top of that, thinking ahead helps you discover and tap into unexplored markets with potential. It also paves the way for developing products that could be a game-changer in the future. We offer customized SEO services that fulfill your unique needs. Sign up for a free account and become a partner today, or contact your account manager today to learn more. In a recent study released by BrightEdge, an SEO enterprise firm, it showed the integration of social media plugins and links on homepage. The stats showed that Facebook was in the lead with about half of their 10,000 sample websites having a Facebook link on their homepage, while 40% had their Twitter account.